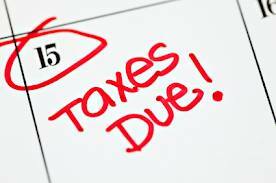 The Internal Revenue Service reminds taxpayers that the Oct. 15 deadline remains in effect for people who requested a six-month extension to file their tax return. The current lapse in federal appropriations does not affect the federal tax law, and all taxpayers should continue to meet their tax obligations as normal. Individuals and businesses should keep filing their tax returns and making deposits with the IRS, as required by law. Many of the more than 12 million individuals who requested an automatic six-month extension earlier this year have yet to file their Form 1040 for 2012. Though Oct. 15 is the last day for most people to file, some groups still have more time, including members of the military and others serving in Afghanistan or other combat zone localities who typically have until at least 180 days after they leave the combat zone to both file returns and pay any taxes due. People with extensions in parts of Colorado affected by severe storms, flooding, landslides and mudslides also have more time, until Dec. 2, 2013, to file and pay. Taxpayers can file their tax returns electronically or on paper. Payments accompanying paper and e-filed tax returns will be accepted and processed as the IRS receives them. Tax refunds will not be issued until normal government operations resume. IRS operations are limited during the appropriations lapse, with live assistors on the phones and at Taxpayer Assistance Centers unavailable. Tax software companies, tax practitioners and Free File remain available to assist with taxes during this period.